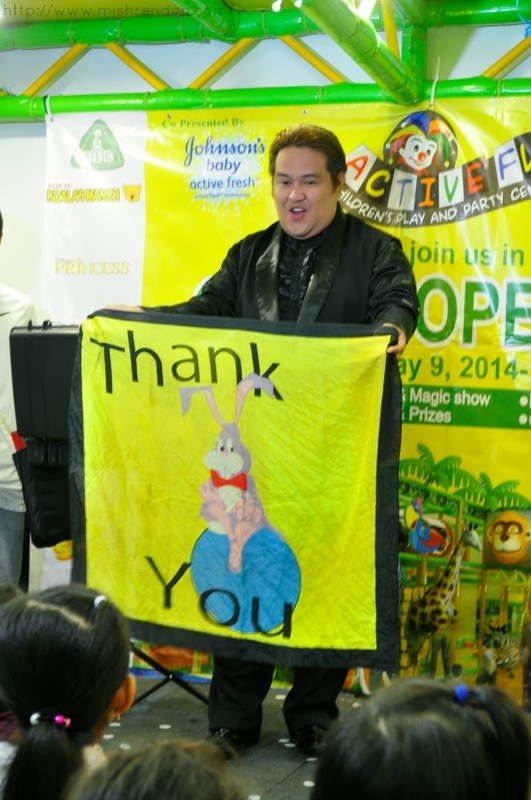 Last Friday, I had the opportunity to witness the grand opening of ActiveFun Play and Party Center's latest branch at Fairview Terraces. 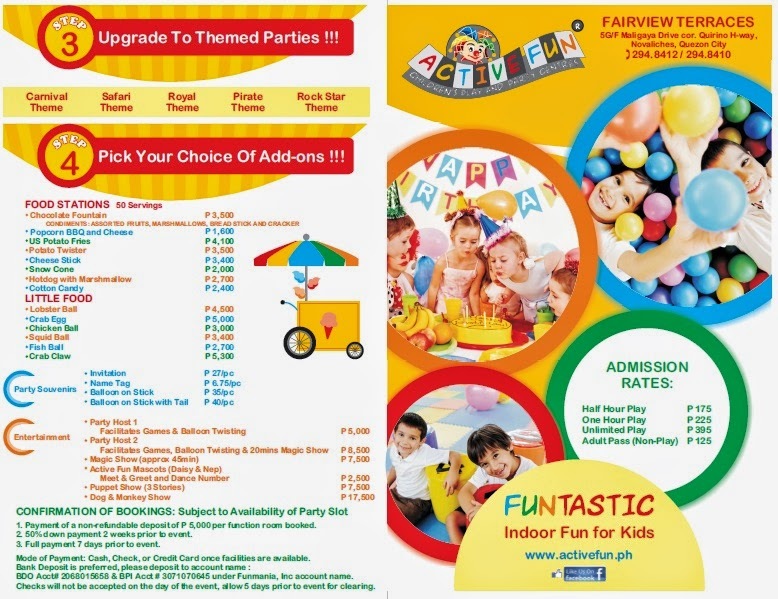 ActiveFun is a tried and trusted brand that aims to promote a one-stop safe and kid-friendly recreational facility advocating exercise in a safe, fun environment and play as a venue to develop several skills of the children. It allows group play encouraging kids to develop social and interpersonal skills as they learn to interact with other kids. The event was filled with fun activities such as face painting, mascot and magic shows, and games that the kids (and their parents) definitely loved. 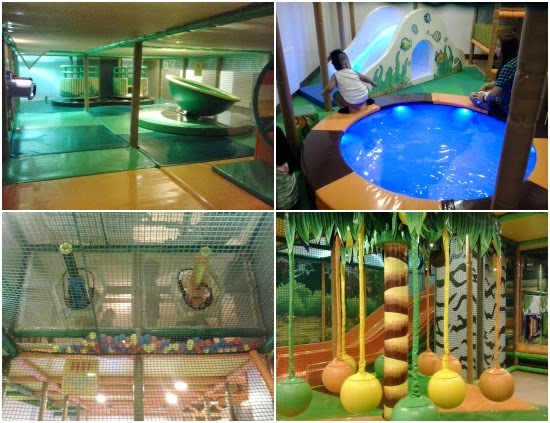 The kids were also able to enjoy the unlimited play at ActiveFun's Safari-Themed play center. I wish I had brought Z with me during the event! 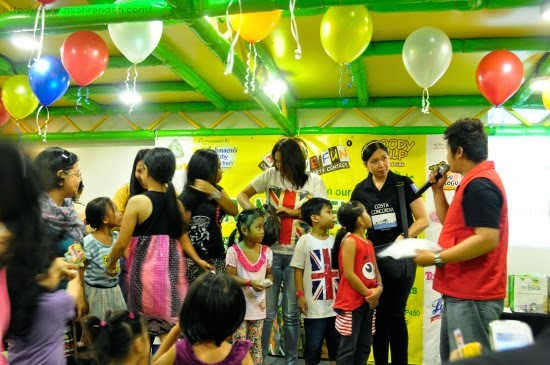 Everyone from the crowd was able to get prizes and giveaways from the event sponsors, Lotte, Mogu Mogu, Lysol, Johnson's Baby, Goody Gulp, Tiny Buds, Disney Junior, among others. For the ribbon cutting, Team Kramer was also present. They even participated in some of the activities during the event. Active Fun's Safari Fun Adventure themed center in Fairview Terraces features sections in the play area like See saws, Ball Pit, Mini Slide, Building Blocks for Toddlers; Play Frame features are Slide, Trampoline, Ball Fountain, Cannons, Air guns, Swings, Tunnels & Hanging Bridges. New Attractions include Water Bed, Rocking Chair, Shark Tube, Revolving Tunnel, Mini Ball Fountain, Fun & Learn Panels and LED Ball Pool! This place can accomodate 150 kids at a given time. 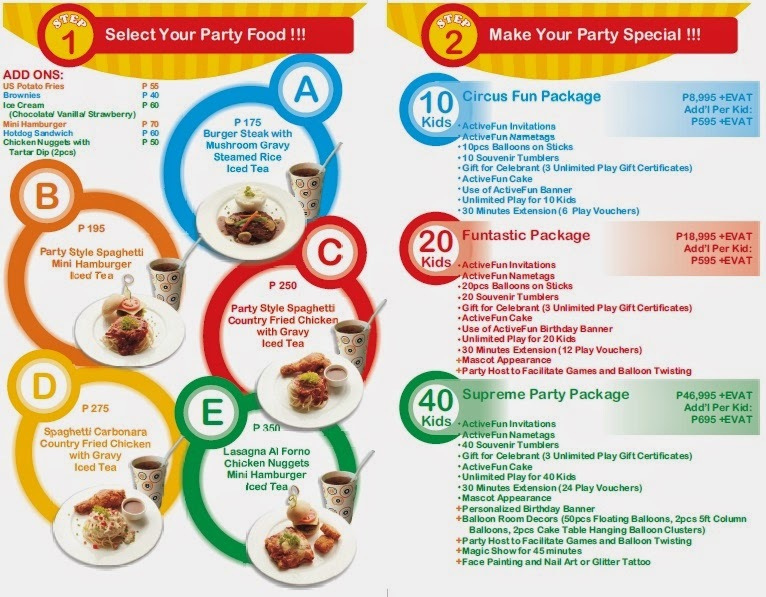 Aside from these fun activities, ActiveFun also offers snacks and refreshments and party packages. Their Party Zone can be used for children’s parties, meetings, product launches, and other occasions up to 80 persons seating capacity. 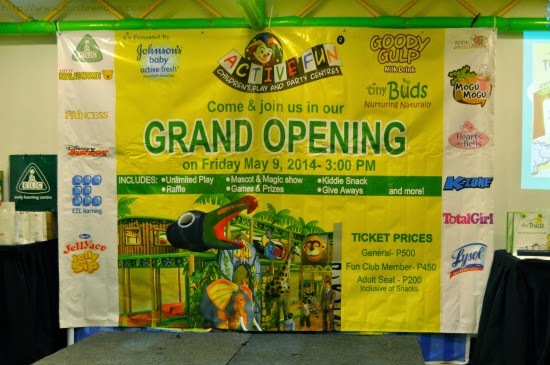 For inquiries and reservation, call 294-8412/294-8410 or email activefunfairview@gmail.com. Operating Hours are from 10:00 a.m. to 9:00 p.m. on Mondays to Thursdays; from 10:00 a.m. to 10:00 p.m. on Fridays to Sundays and Holidays.